Astilbe Arendsii 'White Gloria'. 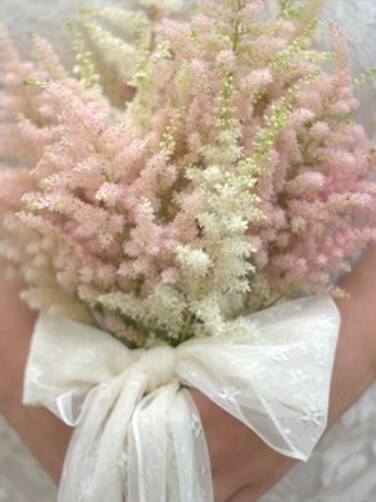 Also Known as 'Weisse Gloria', this is a special hybrid cross of Astilbe x False Spirea. Snow white flowers on dense, pyramidal plumes early in the season. Shiny dark green foliage. This is our favorite white! A perfect choice to brighten up a woodland area. The bright but neutral color makes 'White Gloria' easy to match any color scheme.